Here at the Group Real Estate, we love to highlight a few of the surrounding areas that we help with listings and buying. Idaho Falls is the biggest metropolitan city, with city limits area, in all of Southeastern Idaho. The county seat of Bonneville County, Idaho tells us that of the 2010 Consensus there was a population of just over 60,000 people here. And it is still growing. Starting out as Eagle Rock, which we learn from the Museum here, and what we now known as Old Town, Idaho Falls mail service postmarks the emergence of Old Town happened around 1866. The town, at that time, named Eagle Rock was named after seeing an Eagle perched on a rock on an island just 7 miles upstream on the Snake River, an island that saw approximately twenty, or more, eagles perched on rocks. At that time a ferry was located here to help people who worked the Montana trail and would travel from Montana to the Portneuf valley. As this happened, Eagle Rock began to grow. They had an eating house, a private bank (which would mark the fourth bank in Idaho at the time), a small hotel for travelers who needed to stop, a post office and a stage station for horses. Not long after, the railroad came through the Eagle Rock location, which is still the railroad that travels near Old Town, and at the time caused homesteaders to come and stay here in the Snake River Valley. The Snake River Valley was made up of many stops, locations such as Blackfoot and Shelley, had areas that travelers could stop and do dealings on their way through the Portneuf Valley. 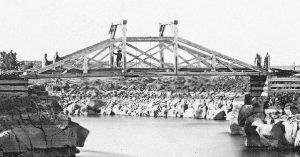 It was 1891 when the town voted to change the name from Eagle Rock to Idaho falls, in reference to the rapids that existed below the bridge, that we still see by the Idaho Falls temple to this day. In 1949, the Atomic Energy Commission opened the National Reactor Testing Station in the desert just west of the city. By 1951, the nuclear reactor produced useful electricity for the first time in history. There have been more than fifty unique reactors built and tested since then. All but three of them are shut down. To this day, they are still doing research and work out there, though it is now known as the Idaho National Laboratory, or INL. It remains a major economic engine for Idaho Falls and is known for being a functioning, internationally renowned research center. Downtown or Old Town – The downtown area lies along the east side of the river between the greenbelt walking path and Yellowstone Highway 91. More eateries, shops and art centers are popping up downtown more and more. There are a lot of community events that happen here, such as concerts, art exhibits, the renowned Fourth of July fireworks celebration, and a wonderful farmers’ marker every Saturday morning. The Numbered Streets – The numbered streets areas was the first planned neighborhood in Idaho Falls. the tree lined streets run between South Boulevard and Holmes Avenue. Each street goes east and west, the odd numbered streets running east and the even numbered streets running west. Since the re-development of nearby Historic Downtown, this area has started to climb in becoming a more desirable area to live in. 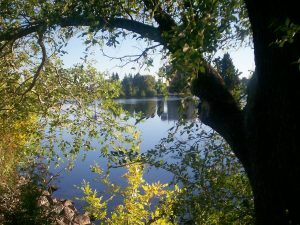 West Side – Across the Snake River to the west, this area is much more small-town feeling that going east through Idaho Falls. There is a lot less congestion and activity going on over on the west side. In the 1960s, the start of rural area development happened and steadily climbed to the peak of where it is in the 80s. More and more commercial activity is starting to happen on the west side with the additions of Taylor Crossing and Snake River landing over the last ten years. The regional airport is also located over on the west side. 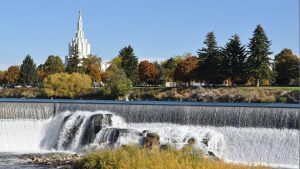 Unbeknownst to a lot of outsiders, especially, for a small town “city” like Idaho Falls, it has established itself as a regional cultural destination. The Willard Art Center, the Colonial Theatre, and the Civic Auditorium are home to year-round, diverse musical concerts, plays and big time events. The greenbelt along the Snake River hosts many community events, such as the fireworks, the Roaring Youth Jam and the Farmers’ Market. The Museum of Idaho has brought in some big, highlighted artifacts, dinosaur bones, Bibles, pieces of the Titanic and even brought the famous “Bodies: the Exhibition” in. Idaho Falls was the first city of its size to house this very popular attraction. Idaho Falls may be growing, but it truly brings a wonderful place to live, to raise families, and to feel a great spirit that isn’t felt in a lot of the world nowadays. 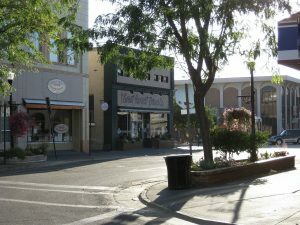 As of 2010, Business Week had it on the list of “Best places to raise kids”, Forbes.com had selected Idaho falls one of the “2010 best small places for business and careers” and CNN.com included Idaho Falls in their “Top 100 Cities of 2010.” Idaho Falls is truly a special place to live, a special place to raise a family, and a great place to visit it’s history.